This classic inner-city terrace house has been reinterpreted in a stunning marriage of materials, textures and colours in Sydney’s Potts Point. Brougham Place reflects the owners’ passion for the work of renowned Swiss/French architect, Le Corbusier - famous for his use of concrete – as well as their love of the rough grain of their inner-city locale. The task of bringing these two inspirations together was handed over to award-winning Smart Design Studio. 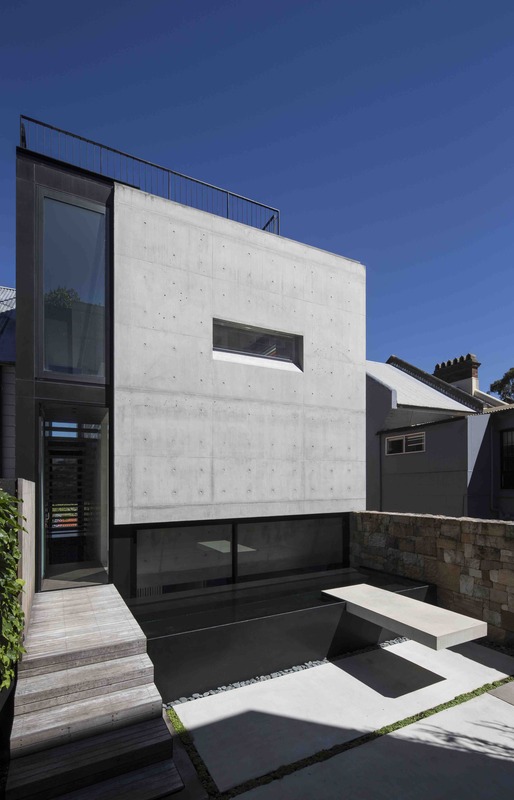 Their design consists of two distinct dwellings - conceived as off-form concrete boxes supported by sandstone plinths - separated by a private central courtyard. The concrete forms feature large openings dressed with an array of multi-coloured aluminium louvre blades. Although in every way a modern dwelling, Brougham Place subtly references the history and character of its neighbourhood. 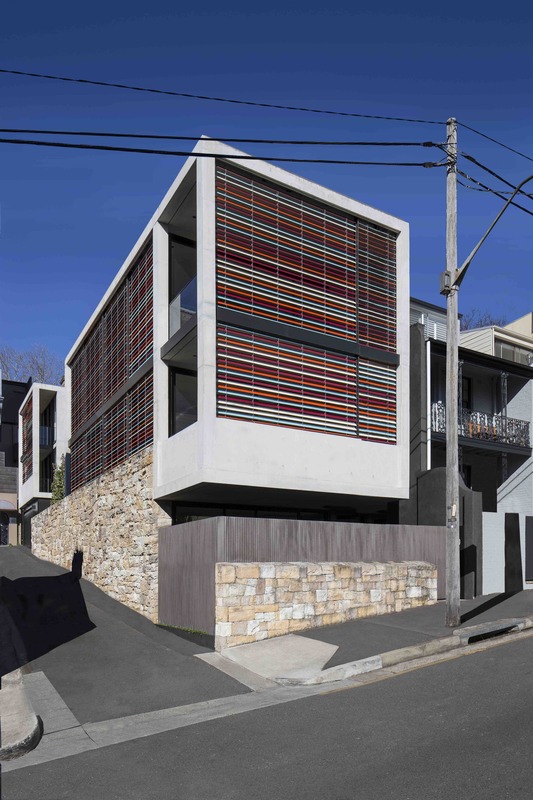 From the street it presents like a terrace house, with blade elements on each side and open in the middle; the sandstone used for the plinths has been excavated from the site and the original dwelling; and the coloured louvres draw off a palette of local heritage colours. The larger front dwelling contains the owners’ home and office, with the workspace on the ground floor and living in the upper two floors. The rear building houses a garage with a studio apartment above. The central courtyard extends the composition of the internal planning to the outside, with planes of timber and concrete hovering over a reflective black granite-slab plunge pool. 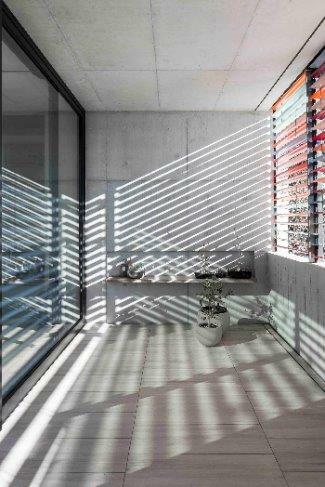 The rear dwelling acts as a privacy screen, creating a place of calm and introspection. All the major concrete elements, including the columns, balustrades and beams, are off-form. The concrete walls are exposed - both externally and internally – as are the underside of the upper-level floor slabs as ceilings. “There were cost efficiencies in not having to go back and dress over the concrete finishes, but we also wanted to keep it authentic,” says Architect William Smart.